Homeowners have a number of reasons for wanting to replace the windows of their home. Upgrading the look and feel of your home is not just as easy as wandering in to your local fenestration establishment, pointing at a window you like and handing over your credit card. Finding the perfect replacement that addresses all of your needs takes planning, forethought and a good partner in the window replacement industry. Consider these variables, then consider what's right for your home and family. 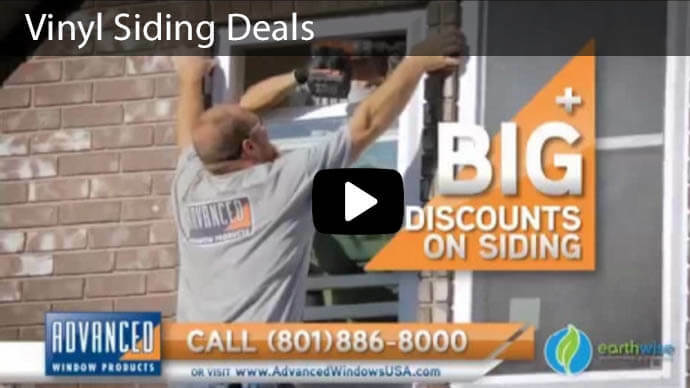 Just because some windows are expensive doesn't make them the Best Utah replacement windows. That's not to say that replacing your windows is not a good idea, but it is an important caveat. Do no equate buying the most expensive windows with getting the most bang for your buck. Sometimes finding a more economical solution can benefit your pocketbook both in the short term and the long run. Opting for triple-pane glass may benefit those homes located in the harshest of climates, but the added weight and materials associated may not pay off as much as choosing the windows with low-E glass and vacuum-sealed argon inside. Buying windows is an investment, don't pick the first window you see, it takes time to choose the best Utah replacement window. Getting inside the number ratings attached to windows can also help you make the right choice. Take a good, long look at the statistics attributed to the windows you are comparing, and know which numbers tell you the most about the windows' performance. The u-value of windows ranges from 0.20 to 1.20. U-value measures a window's ability to retain heat in your home. The lower the number, the better it performs. <li>Solar Heat Gain Coefficient (SHGC) is another category where a lower number indicates better performance, but the numbers can be misleading. Rated between 0 and 1, it indicates how well the window functions at letting heat in. In very warm climates, a good SHGC rating is important. In cold climates, a lower number can help allow the sun's heat in, aiding the heating of your home. The amount of light a window lets through is indicated by its visible transmittance rating. Rated between 0 an 1, as the number increases, so does the amount of light that comes through. Choose the type of window is almost as important as choosing a window replacement company. In addition to the composition of the window, homeowners should also pay heed to the types of windows there are, and how their function follows form. It is also important to consider the architecture of your home, and how replacement windows for homes Utah will fit with your home's concept. Replacement windows come in a number of styles. Single or double-hung windows are the most popular styles of windows, and are found in most homes. In these types of windows, there are two separate panes. In single-hung, only the bottom pane opens, sliding up. In double-hung windows, both panes slide, allowing either the bottom to slide up or the top to slide down. Double-hung windows are great for creating airflow, and are also popular for families since they prevent small children from crawling out an opened bottom pane. Casement windows consist of one pane of glass that is hinged on either the right or the left. They open by swinging out. Awning windows are similar to casement windows, only they swing up to open. An open window creates almost an awning over the open area, and hence the name. Slider windows are also named for their basic window function. These open by sliding left to right, and are a good choice when there is limited space for a window to swing open. Hire a contractor that emphasizes proper installation. You could spend a small fortune on high-quality windows, but if they are improperly installed, you'll be no better off than your were with your old windows. When you make the decision to replace your home's windows, it's also key to find an installer that you trust to do the job right. Choosing a quality window made by a reputable company, and a highly-trained installer are the keys to getting your windows done right. Why are we the best Utah replacement window contractor for you? When you weigh the pros and cons, and make the decision to have your home's windows replaced. Contact Utah's No. 1 replacement window company, Advanced Windows Products. From the high-quality products we carry to the excellent customer service you will get from our highly-trained installers, you will be happy with your home's window replacement when you let us handle the job. Advanced Window Products has an "A" rating from the Better Business Bureau, and a long list of satisfied customers. Our quality shows through our best replacement window reviews. Contact us to learn more about all the products and services we offer. Fill out our form to the right to learn more about why we have the best Utah replacement windows.